Yes, it has finally happened. 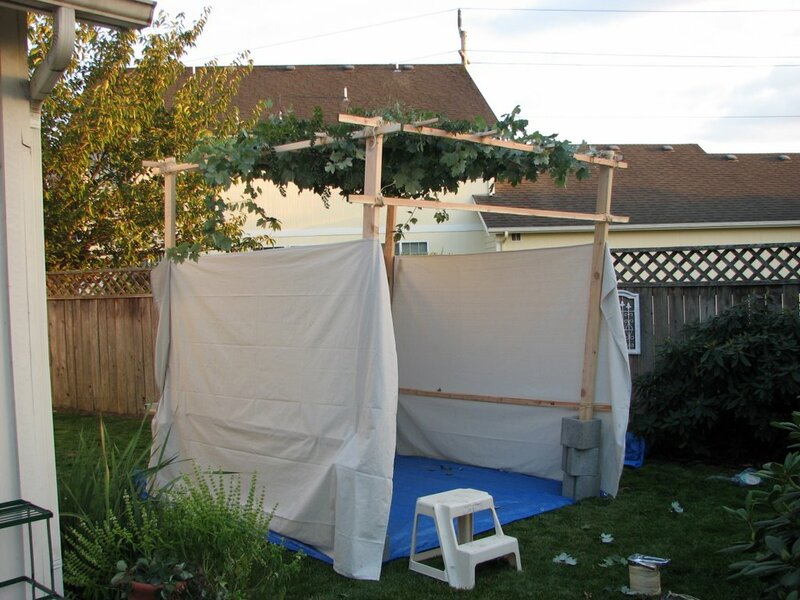 Joanna has built a sukkah! I slept in it the first night, ate lunch in it a few days ago, but I am a weenie when it's cold outside and haven't been out to eat or sleep in it since. Thus I am moving to the Mediterranean, where it's warm, most of the time.